True, this drip coffee maker reviews might be one of the many that you are going to read, but more or less it would help. Perhaps the toughest part when purchasing a product always is the decision-making. With so many brands and product lines claiming to be the best, and with plenty of reviews to verify such claims, it might take a while before a consumer can actually come up with a decision. First on the list is Hamilton Beach Aroma Express with a 5-cup capacity. Based on drip coffee maker reviews of this particular appliance, its most outstanding quality is mess-free coffee-making and easy clean-up. The easy-fill water reservoir minimizes spills while the removable swing-away filter basket and dishwasher-safe carafe makes washing up a breeze. The downside to this machine is that it depends on a non-stick keep-hot plate to maintain coffee temperature. Other features are lighted ‘on’ switch and automatic pause n’ serve. Price ranges from $20-30. Water passes externally through the coffee filter into the carafe instead of the whole process taking place inside the machine eliminating problems of clogs and leaks. The removable water tank accounts for accurate pouring and the replaceable filter can last for up to 2 years. Cleaning up is no fuss as the tank, filter and carafe all comes apart easily. Also, it has keep-warm feature for optimal temperature maintenance and comes with a measuring spoon. Price range is $60-80. For coffee drinkers who are always on the move, the Black and Decker Brew N Go would be a great travel companion. The machine quickly brews coffee in just two minutes straight to a stainless steel thermal travel mug with a 1.88 cup capacity and automatically shuts off when it’s done. 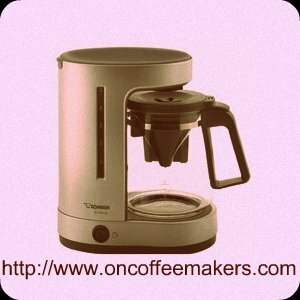 Its drip coffee maker reviews are of mixed pros and cons regarding its efficiency. The re-usable mesh filter and basket eliminates the need for paper disposables, but the filter will stain although it’s clean after washing up. The mug has a contoured, easy-grip handle and a tapered non-slip grip bottom which fits most vehicle cup holders for that no-spill traveling, however, the brew-thru lid sometimes creates a mess. Other features include cord storage and lighted On/Off switch. Price Range: $20-30. For your own multiple coffee makers review, you can refer to websites that rate coffee makers and view two or more reviews simultaneously for comparison. An important thing to remember is that you must already have an idea of what exactly are you looking for. Don’t waste time to review Gevalia coffee maker when Saeco coffee makers are your brand of choice.